This is the first of three letters from T. W. Carter, agent for the Massachusetts Arms Company in Chicopee Falls, Massachusetts, to George Luther Stearns. Mr. Stearns was president of the Massachusetts State Kansas Committee and major personal backer of abolitionist John Brown. 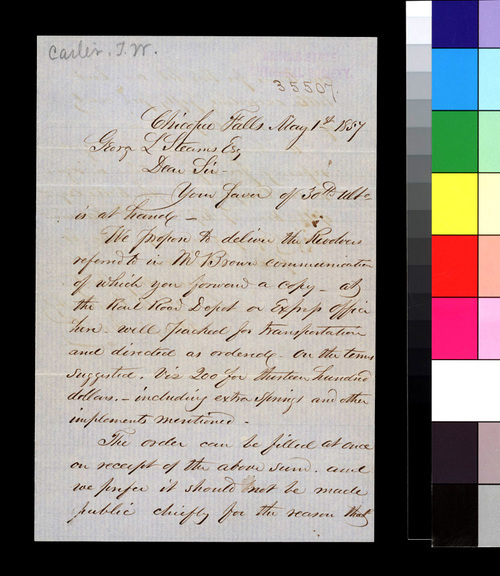 The letter discusses the shipment of 200 revolvers to Capt. Brown.